Ahhh, doesn’t this look nice? I used to have thousands and thousands of emails in my Gmail inbox. They were all read, but I just let them pile up there when I was done. I would have to type something in the search box if I wanted to find an email from years past and hope it was in there somewhere. No more! It took me a few hours, but I initially went through old emails and deleted thousands. Seriously, thousands of emails. Funny forwards, emails between me and my then-husband, papers I proofread for my sister, newsletters I never deleted, and everything in between. With the surviving emails, I utilized Gmail’s genius label feature for easy retrieval, and I archived them. The resulting blank screen was exhilarating. It looks nice and reduces stress. Just as we come to appreciate clear surfaces in our minimalist lifestyles, we can also appreciate the clean emptiness of a blank inbox. It keeps important emails organized. With the click of the mouse on the label or folder, you can bring up every related email. When you are done, they all go back to being archived or sorted and out of the way. It forces accountability. Once you have experienced the blank screen, you strive to keep it blank. This method encourages the treatment of the inbox as a to-do list. As soon as the task at hand (be it browsing a newsletter, printing a coupon, replying to an email, or paying a bill) is completed, the email gets deleted, labeled and archived, or put into its appropriate folder. It keeps you on your game. Nothing gets forgotten or pushed to the bottom because the only emails in the inbox are ones that you need to address. Any time you check your email, it’s a to-do list. 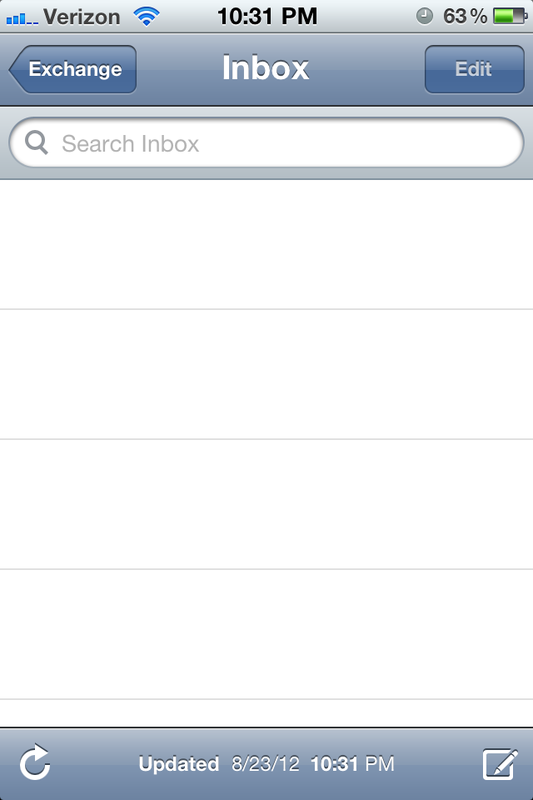 And as you do those tasks, you get to see that clean, empty inbox! My email to-do-box. Freelance-labeled items are there as reminders that I have to submit a press release soon. My gas bill also needs paid. 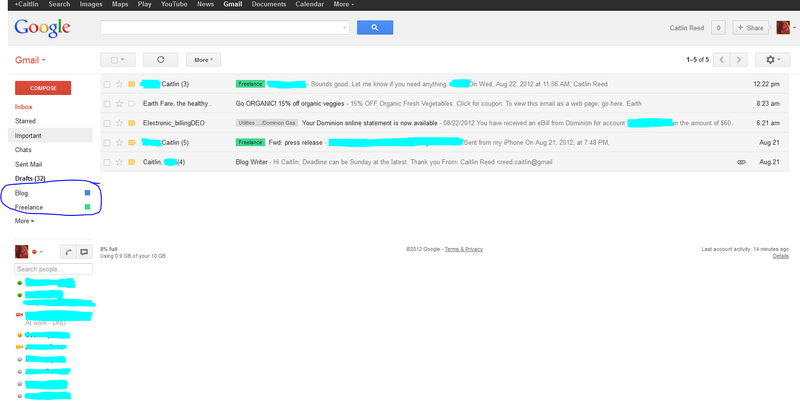 And I’m going to print that coupon for organic veggies very soon, I promise. That last email is for a job application that needs a writing sample. Also, those two circled labels are the only ones on my screen without pressing the “More” button. I can access emails about Born Again Minimalist or my Freelance assignments with the click of a button. I cannot wait to finish these assignments because I want my precious empty inbox. Do you combat email clutter? It’s so much nicer to look at, and I don’t miss things which are lurking at the bottom of the inbox. Also, it means my response to emails is usually pretty speedy, as I am up to date. Need to do a bit of work on my home email and delete old stuff- have unsubscribed from so much though…so good to only get emails that I want!